"I prefer a good 'interior' to a good landscape. 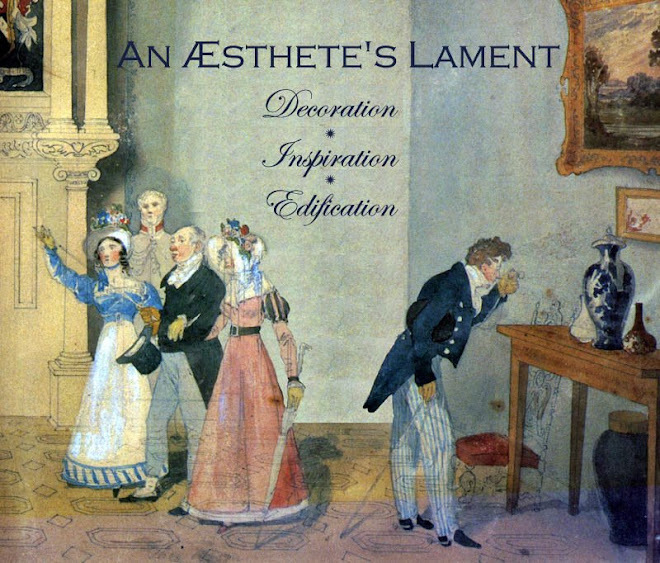 The impression has a greater intensity—the thing itself a more complex animation. 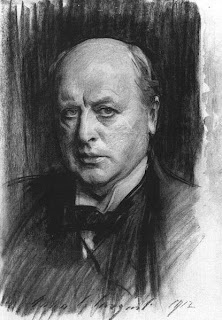 I find I like fine old rooms that have been occupied in a fine old way ...'"
So wrote Henry James (1843—1916), expatriate American novelist, shown above in a 1913 charcoal sketch by John Singer Sargent. NOTE: James didn't actually say the words quoted; he was repeating, in agreement, what an unnamed friend said as they toured a palace in Rome in 1873.